Meditation Hall. A kitchen is next door and cloakrooms are in close proximity. 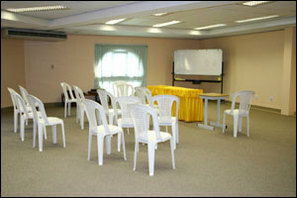 We can provide your group with chairs, tables, sitting cushions, microphones, whiteboard, flip chart etc. Just let us know your requirements and we will do the rest.